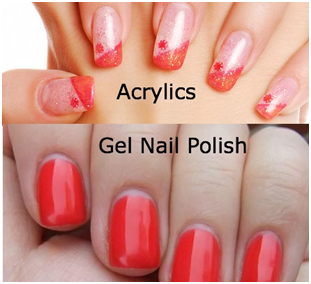 Here is all that you should know about acrylic and gel nails! Nail art is quite a trend these days. Gone are the days when French manicure was the only other option available (other than getting the nails polished in a monotone shade). These days, women have a lot to choose from. Two extremely popular trends that have emerged as an extension of nail art are acrylic and gel nails. These two nail art designs are actually available in the form of false nails. Most get confused and think it’s probably the same. In fact, majority salons in India also market them as the same offering. However, there is a huge difference in their application. They both might look just the same, but in actual, there is a huge difference in the way they are applied. Let’s find out how. The application of gel nail is a powerful combination of the strength of acrylic nails and the appearance of natural nails. The major difference remains in the way they are applied. Gel nail only gets hard when exposed to UV light. Besides, one needs the regular stock of things, such as a base coat, basic nail polish, and the top coat. Every time – after the application of each coat, the nails are required to be exposed to UV light for drying and hardening purpose. This means-three to four times during a single application. The application of acrylic nails is done at a proper salon using polymers (liquid and in the powder form). The objective is to rather create a solid protective layer over the actual fingernails. The application of these polymers which is nothing but an acrylic which hardens up when exposed to the air. The reason why it needs to be like a real rock solid surface is so that we can use it as a canvas and apply nail art designs on the same. If you are looking for a natural fingernail look, then opt for gel nails. They also look less made-up and more glossy. 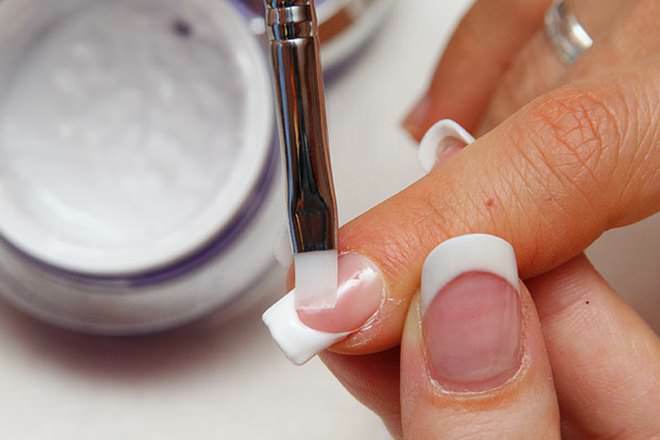 However, acrylic nails can be easily fixed at home if broken. 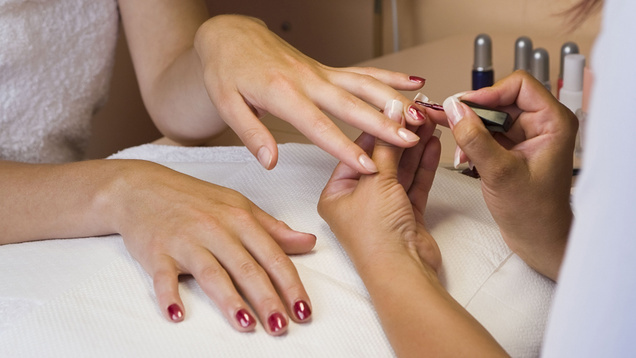 While the application of gel nails could be quite tedious, the acrylic nails on the other hand – involve chemicals (and fumes) for their application. Gel nails also don’t damage the nail bed in the long run, but, they are not as durable (and long-lasting) as is the case with acrylics. We leave it completely on you. The only piece of advice that we have for you is that only take help of professional or visit a salon for their application.